Forest Schools and Outdoor Play – How can we get involved? With the ever increasing introduction of technology into our lives and concerns around safety, it is no wonder that our children are getting less opportunity for outdoor play and to learn about the natural environment. Gone are the days when a group of small children could nip down the street by themselves where there were trees and meadows and have the opportunity to explore and learn of their own accord. We heavily manage all manner of risks and structure the environments our children learn in, which has its benefits – but what does that mean for their appreciation of nature? Their problem solving and risk management skills? Their ability to use the natural environment to entertain themselves and learn? It is these concerns and questions that have led to the growth of the Forest School movement. Heavily influenced by what has been achieved with outdoor classrooms and learning in Scandinavian countries and open-air educational concepts such as McMillan’s outdoor nurseries, Forest Schools are spreading through the country – more and more Early Years Practitioners are sitting up and taking notice of the benefits a Forest School approach can have in a world where many children have lost contact with nature and are protected from any kind of risk. ‘learning outside the classroom contributed significantly to raising standards and improving pupils’ personal, social and emotional development’. There is evidence and research to support outdoor play and learning in diverse environments from a young age, and the Forest School approach takes this even further – using a woodland setting to allow a child-led learning environment where many skills are introduced and honed over a period of time. 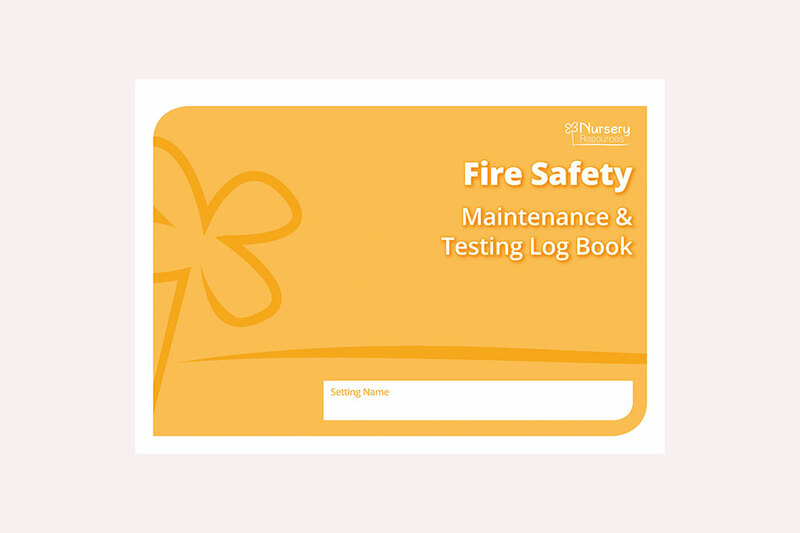 Be sure when logging your risk assessments that a benefits column is present on each assessment – we have an outdoor risk assessment, designed perfectly for the outdoor environment! Although there are many benefits to the Forest School concept (listed below), the development of confidence and self-esteem as laid out here is one of the most important and widely observed. These attributes lay the building blocks young children need to enable their development in many areas, and give them a solid foundation for further social, emotional and learning skills. Using a wild (woodland) setting with boundaries and safety routines that give children the freedom to use the setting and learn by themselves and within groups with some input from adults (albeit as unobtrusive as possible). High adult to child ratios giving the dual benefit of allowing children to undertake activities they would not normally be able to, such as climbing trees, without putting them at undue risk as well as allowing the adults involved to really understand the different abilities of the children in the group. Learning is linked to National Curriculum and Foundation Stage Objectives this isn’t just about playing in the woods! Children are encouraged to use a wide range of skills in their Forest School activities that can be linked back to many areas of the curriculum or early years’ objectives. In addition, this environment can be particularly rewarding for those children who find it difficult to learn in a standard early years’ environment. Freedom to explore and use all of their senses – helping to encourage creative and imaginative play. Allowing this freedom really helps to let children develop their own learning style and pace. Encourage your children to use their senses, using this Senses Activity Pack. Regular sessions over a significant period of time – Forest School is generally something that takes place regularly over a substantial period time period. Perhaps weekly or fortnightly and over the course of a year so it can encompass all weathers and seasons, with the natural highlights that each of those things bring. What are the benefits of Forest School education? The Forest School allows for flexible approaches to learning and play and can accommodate a range of learning styles, in particular, kinaesthetic learning. Research related to learning outside in a natural environment and Forest School ideas highlights the positive impact this type of activity can have on young children. Studies have found that children who play in natural environments undertake more diverse, creative and imaginative play, forming an important part of a child’s development. One study, reporting on children aged 3-5, noted that children learn to work collaboratively, socially construct knowledge, and develop social skills, while cooperating, helping, negotiating, and talking with others. See our article ‘Creating an Enabling Environment‘. An analysis of the available literature researching Forest School approaches by King’s College London states that ‘environmental-based education makes other school subjects rich and relevant’, finding that it leads to better performance in reading, maths, science and social skills. How Does a Forest School Work? Children attend a site, no more than 10-15 minutes from their main setting, ideally once a week over the course of a year. This enables the range of activities and experiences that come from the changing seasons. The sessions are led by a qualified Forest School practitioner (which can be a teacher or Early Years professional who has completed the required training, or a Forest School professional who has been bought in), alongside support staff or parent volunteers to ensure high adult to child ratios. Where possible these adults should be the same for each session – the combination of regular visits to the same site with the same adults in attendance allows children to feel safe and secure, which contributes to the progression they can make over time within this setting. Activities are set out according to the progression of the group, the weather, the children’s abilities and the ideal learning outcomes, although this is done in a loose way so as to allow children to learn and develop as independently as possible. Activities can range from hide and seek games, to climbing trees, bug hunts and even building fires! I’m Interested…Where Do I Start? If you are interested in finding our more about Forest School the best place to start is with the Forest School Association where you’ll find lots of information about sites that are already set up with trained Forest School leaders that you may be able to make use of, and also information on the training process. 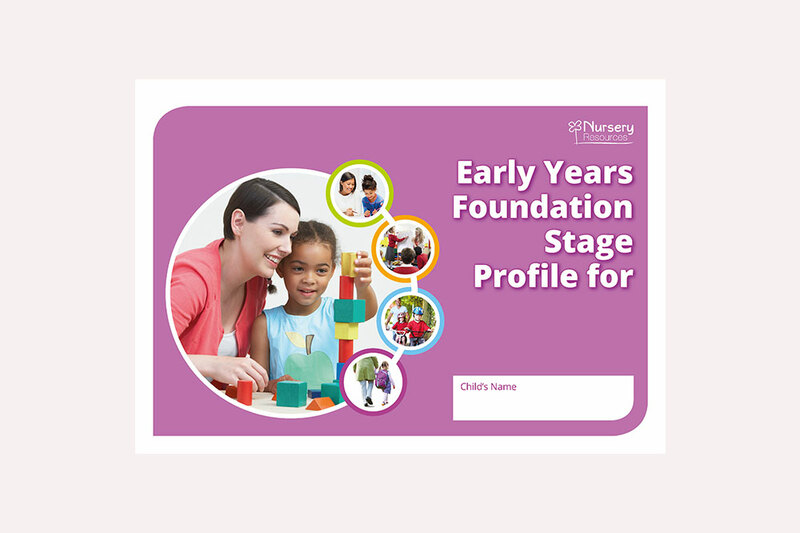 In general, nurseries and primary schools will take advantage of these sites and as the first group of children go through the process a practitioner from the group will go through the training. 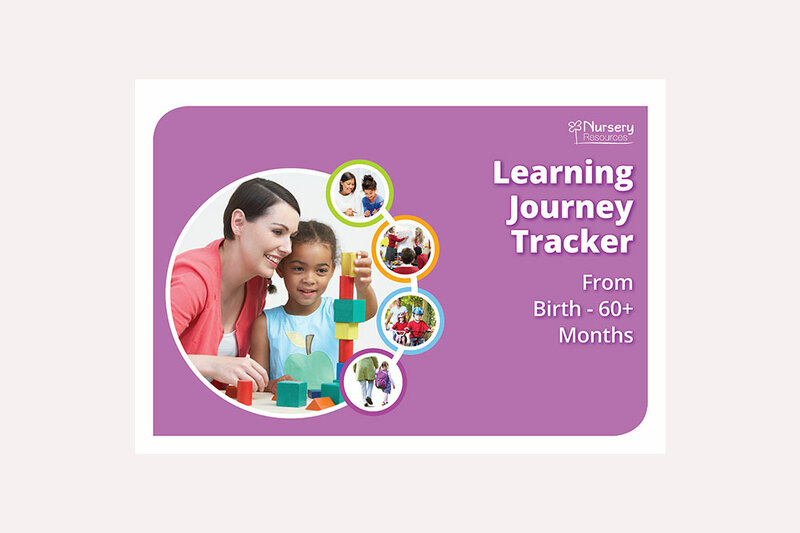 However, training can be done independently, or a third party site and practitioners can be used for the whole process (with assistance from nursery/school staff). Although the Forest School term is not trademarked and regulated as such, there is general agreement among all those organisations involved in the UK that to be able to run a Forest School you must have completed accredited training. There are 3 levels of training and to run a Forest School you must be trained to level 3 (which can be completed in around 6 months or more). Each level earns you credits as would other CPD. You can find out more about training here. If you are interested in making a start with some outdoor activities in an early years setting in the meantime, we have some great ideas to get you started… Take a look at our ‘Practical Ideas for Outside Learning’ article. Senses Activity Pack – This bright and colourful, child friendly pack is perfect for encouraging discussion about each of the senses, an important aspect of learning in the outdoors. 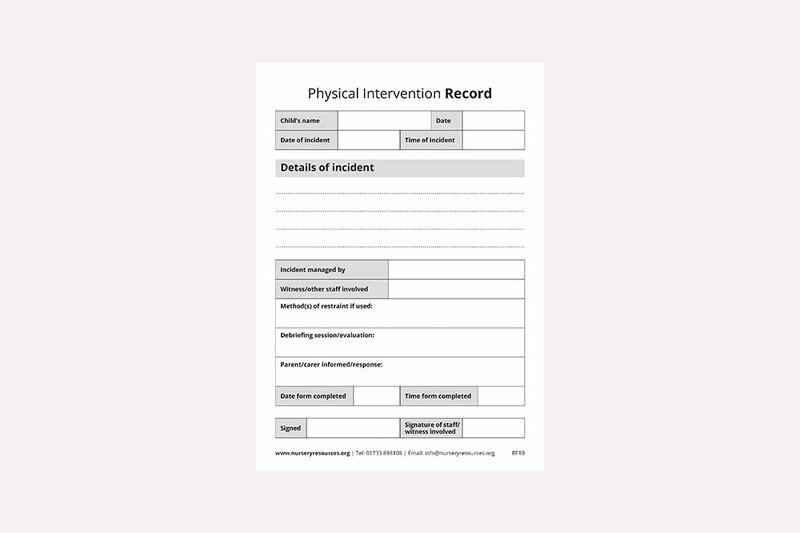 Child Accident Pad – The carbon copy pad is to be used when a child has had an accident whilst under the Early Years Practitioner’s supervision. 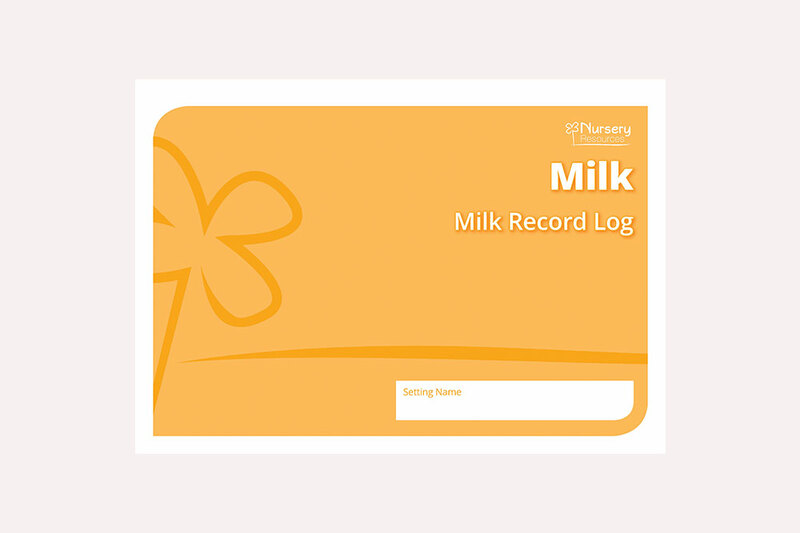 Risk Assessment Record – The Risk Assessment Record allows your childcare setting to easily log all risk assessments which are required by law to be carried out regularly. Teaching and Play in the Early Years – ‘Teaching and play in the early years – a balancing act?’ is a new report from Ofsted which explores teaching and play. Containing eight good practice examples, the report showcases good practice in early years to help support settings in successfully combining teaching and play. England Marketing 2009, Report to Natural England on Childhood and nature: a survey on changing relationships with nature across generations.